New City Eyes (New City) - Book Appointment Online! 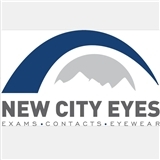 Welcome to New City Eyes Founded by Dr. Scott Garbowitz and Dr. Natalie Eckstein We have been serving Rockland County's eye care needs since 2001. Our Doctors and staff are committed to providing you with the highest level of eye care services in a friendly and caring environment. Our emphasis is on comprehensive eye exams, contact lenses, and the treatment and management of eye disease. We take great pride in having examined and successfully fit thousands of contact lens wearers right at home in our community. We look forward to meeting you and taking care of your eye care needs. Very good optometrist. Professional and knowledgeable.